Brisk walks, steaming cups of tea, and gourmet cuisine await at a charming Manor House in the countryside. Stay in the perfect location to explore Lymington, a quaint village in the New Forest district of Hampshire. Stay in a Classic Room and be sure to indulge in delicious dishes and fine wines at the elegant Waterford Restaurant. Located on the stunning Solent Coast, this New Forest hotel is only 15 minutes' walk from the nearby town of Lymington, a quaint and picturesque village in Hampshire. The New Forest is a lush and verdant landscape rife with heritage and cultural sites. Here you can find a handful of charming villages, castles, manors, and picturesque routes for sublime walks. 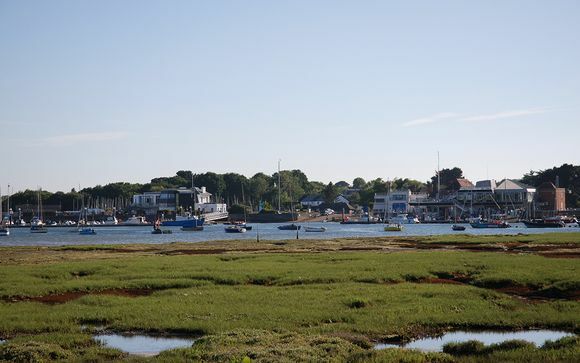 Grab your wellington boots and embark on the Solent Way walk along the sea front from nearby Milford-on-Sea to the lovely port of Lymington. Lymington is a pretty Georgian coastal town on the southern edge of The New Forest, famous for sailing and seaside walks. Lymington is home to treasures such as the 19th century seawater baths (the oldest lido in the UK! ), the (in)famous Golden Letterbox, and a rich history of Victorian smugglers. 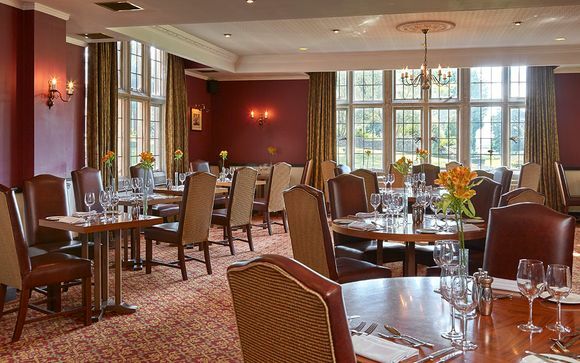 Set in a charming manor house dating from 1820 and surrounded by 23 acres of lush, private grounds, the Macdonald Elmers Court Hotel & Resort is the ideal venue for a peaceful break in the Hampshire countryside. From its classical Tudor facade to its graceful decor and warm interiors, The Macdonald Elmers Court Hotel & Resort is a pocket of countryside elegance in the New Forest. After a brisk walk through the surrounding countryside, return to the manor for complete relaxation and indulgent pampering. 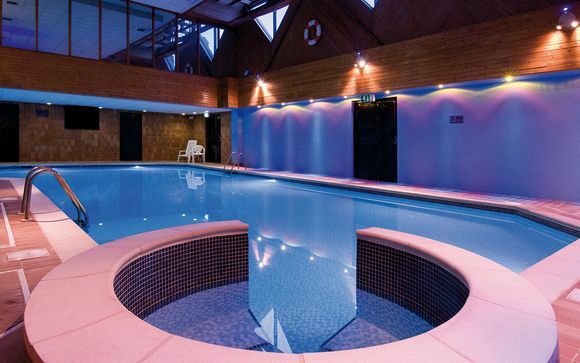 Swim in the indoor or seasonal outdoor pool, book in for a spa treatment, or dine in the elegant Waterford Restaurant. Here you will find scenic amenable hospitality, upscale facilities, and striking views of the Solent Coast at this traditionally appointed manor hotel. Located in their own courtyard and grounds, minutes walk from the main Manor House, Macdonald Elmers Court Hotel's bedrooms offer peaceful and spacious accommodation. 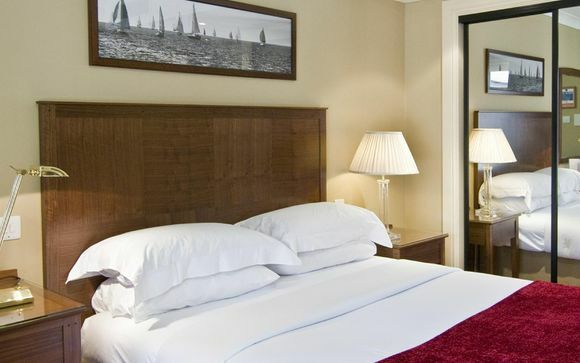 Classically furnished bedrooms feature large comfortable beds and spacious en-suite bathrooms. The Classic Room (226 ft²) offers luxurious and peaceful accommodation in the heart of the New Forest countryside. A welcome haven after a day of adventure and exploration in the local area, Classic bedrooms are beautifully furnished, spacious and extremely well designed. Your Classic Room will come fully equipped with a private en-suite, desk/dressing table, complimentary bottled water, fruit bowl, Arran Aromatics Toiletries, and free WIFI. Our members will enjoy a freshly prepared breakfast each morning of your stay. After an invigorating day exploring the countryside, return to the hotel for a gourmet meal on your Half Board basis. Enjoy great food at its best while savouring delicious dishes and fine wines in the elegant Waterford Restaurant. A truly elegant affair, the Waterford Restaurant is located in the Manor House with views of the Solent Coast across the Queen Mary Lawn. Traditionally furnished and boasting a contemporary yet classic menu, the Waterford Restaurant is a romantic setting for a culinary experience. Here, you will be treated to a meal for two on your first night of stay. For a less formal dining experience, sample the delicious menu on offer in the Scottish Steak Club, or enjoy the Manor House Afternoon Tea Selection. Be sure not to miss the stylish Tudor Bar, boasting a range of drinks from creative cocktails to single malts. 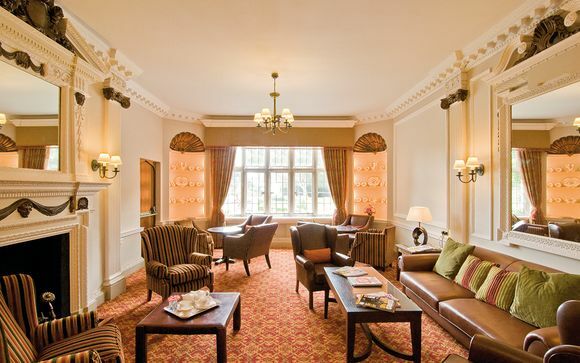 Macdonald Elmers Court Hotel & Resort Spa is situated in the heart of the New Forest countryside, along the Solent Coast and therefore blessed with a wild and unrelenting beauty. This serene landscape is the ideal backdrop for a relaxing break from the stress and strain of daily life. The sensuous Spa at Elmers Court provides you with an equal balance of luxury and tranquility; here a team of trained experts are standing by to help you relax and unwind. Take a dip in the 15-metre heated swimming pools (indoor and outdoor), treat yourself with a indulgent treatment or pampering massage, and keep fit at the state-of-the-art technogym. We recommend you book a Spa package in advance to avoid disappointment.